Learn to supercharge your business marketing activity by creating and taking compelling food photography on your smart phone. 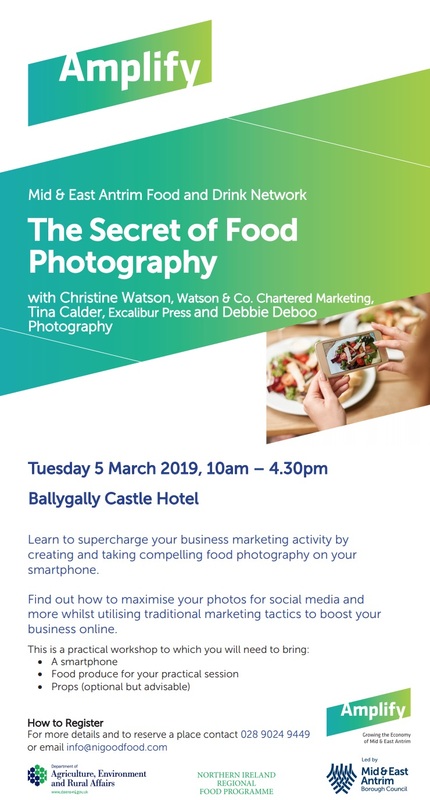 Find out how to maximise your photos for social media and more whilst utilising traditional marketing tactics to boost your business online. The Secret To Creating Fab Food Photos That Drive Business is a free Mid & East Antrim Borough Council course delivered by TrainingMatchmaker.com trainers: Chartered Marketer and digital skills trainer Christine Watson from Watson & Co Chartered Marketing and publicist/journalist Tina Calder of Excalibur Press & The Content Club.